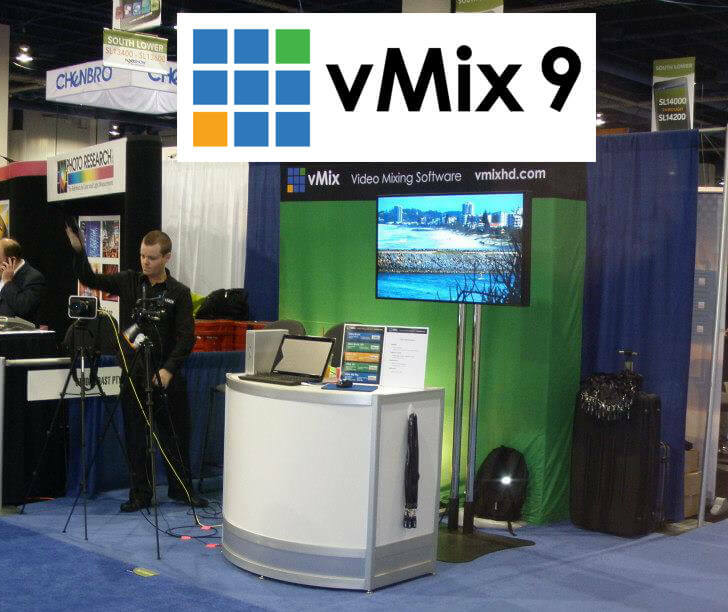 VMIX 9 DEBUTS AT NAB 2013, OFFERS LIVE HIGH DEFINITION VIDEO MIXING AND STREAMING ON A MODEST LAPTOP OR PC. Las Vegas, Nevada – April 8, 2013 – STUDIOCOAST PTY LTD, creator of the video mixing software vMix, has announced version 9 on the first day of NAB. New features include support for the Teradek Cube and RTSP sources as well as complete integration with Adobe Flash Media Live Encoder for one-click streaming to online streaming services. vMix staff will be at the STUDIOCOAST PTY LTD booth (SL13318) throughout the show demonstrating the software on an off-the-shelf laptop and capture system that cost less than $3000. “One of the unique advantages of vMix is its low system requirements” says company director Martin Sinclair, “we’ve been able to setup a full high definition multi-camera streaming system based on a $1000 laptop, $950 capture card and $500 Thunderbolt enclosure”. vMix pricing starts from $59 for the Basic HD version. Support for Stinger Transitions has also been added to latest release, complementing an already extensive feature set that includes Virtual Sets and an integrated Titler. “vMix was released back in 2009, but this is the first time we’ve been fortunate enough to be able to fly over from Australia and demonstrate it at NAB” says Martin.